Forensic Accountant versus Auditor – What’s the Difference? When you need protection on the financial and/or business side of things, you want to know that you’re going with the best option for your needs. Business or pleasure both require the right match to give you the most benefits and specialized protection that goes along with it. That leads us to the common question combination: what’s the difference between a forensic accountant and an auditor? Is there such a thing as the “better” option? An auditor has specialized education within the world of fraud and other financial focuses. This is great for when you are looking for a financial focus alone; but a forensic accountant, who also is knowledgeable in fraud, has more specialized and lengthy education within the wider world of finances. This includes a wider umbrella of finances as well such as detailed fraud evaluations, vendor ghosting among others. An auditor is a specialist for the numbers and review, whereas a forensic accountant is a specialist in both the numbers and the data behind them to help interpret what each means. An accountant will often offer solid, dependable support for someone looking for help on a personal side of things such as a divorce audit. A forensic accountant will be able to offer deeper and more advanced support in those same divorce/personal matters as well as those in a business environment as well. This allows for you, as the customer, to get a more in-depth understanding of the numbers as well as how they relate to your own situation or your business’ situation. When in business, having everything done “to the letter” in a comprehensible way that makes sense on a day to day level is important, specialized work that an auditor may not be able to provide. Lastly, a forensic accountant can often be the right professional litigation support in most financial situations because their reports and findings are able to be used in a court of law. Personally, this is good for litigation during a divorce. Business-wise, this is important for complaints or filing against an employee who has stolen from you. 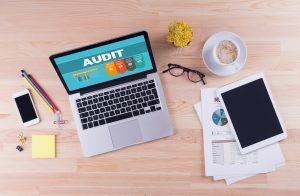 An auditor does not have the forensic distinction, so their advice – while helpful and accurate – may not have as much place in a courtroom or in legal proceedings. It’s not that one is better than another. It’s that one offers further specialization behind the numbers that can be used in a courtroom and hold up with legal proceedings. A forensic accountant helps with both personal and business finances in all legal situations (and otherwise). An auditor offers up the numbers with a brief understanding of the reasoning behind it, but it does not have a position with litigation and requires external help when being used in a formal situation such as a court case. Both a forensic accountant and auditor offer important services to personal and professional settings. The important thing is to determine which is the right fit for you and your finances. Should you need an extra set of eyes on your personal or business financials, contact Palma Financial Consulting to get started with diving into your financial situation.